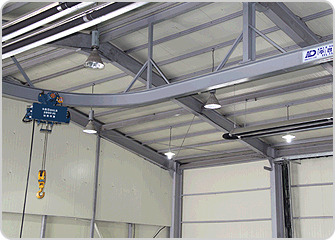 Automatic Cranes | Kyungdong Industrial Co., Ltd. It is used to transport and load heavy objects along a certain line. As the I-beam is installed for the crane to travel, it can be used mainly for transporting small objects. It is disadvantageous as it can not transport and load objects in the directions of east, west, south and north.